This past Saturday, we attended The Open Championship at Royal St George’s Golf Club in Sandwich, Kent, England. It was a foul weather day with strong winds and rain, but we braved the elements to watch some of the best golfers in the world compete for the Claret Jug. We saw Tom Watson, Ricky Barnes, Rory McIIroy, Rickie Fowler, Louis Oosthuizen and Jim Furyk to name a few. We left the tournament earlier than expected with rain-soaked jeans and soggy shoes, but it was time to get dry. Oh, well…you can’t control the weather (especially here in England). Nevertheless, it was a great experience. Congratulations, Darren Clarke! 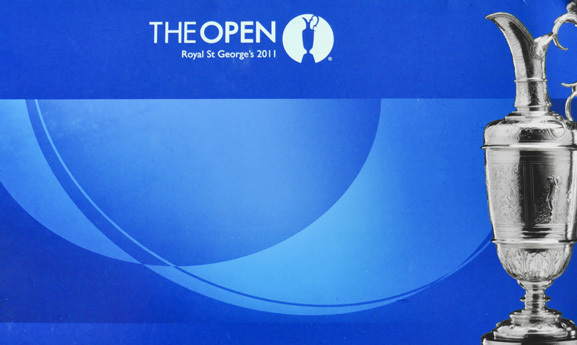 This entry was posted in England and tagged British Open, Golf, The Open. Bookmark the permalink. Even though the weather didn’t cooperate, sounds like a great a event that you got to see. Hopefully, you have dried out:)!